Anti Fed Ed Warriors, much has been written in uncovering the global ties to the SEL (social emotional learning). We saw SEL begin to ‘ramp’ up with the release of Common Core. We’ve seen it continue to grow in scope and sequence since ESSA (Every Student Succeeds Act) passed. This article, is quite in-depth. As such, use it as a study guide to last over several days. This topic is difficult and cannot simply be glossed over OR rushed through. You’ve, no doubt read the plethora of articles, research, and first-hand accounts of the damage SEL does to our students. It isn’t any easier for those leading our children, either. Consider that many teachers, leaders, and school administrators have either left their schools, or worse, harmed themselves or have died. 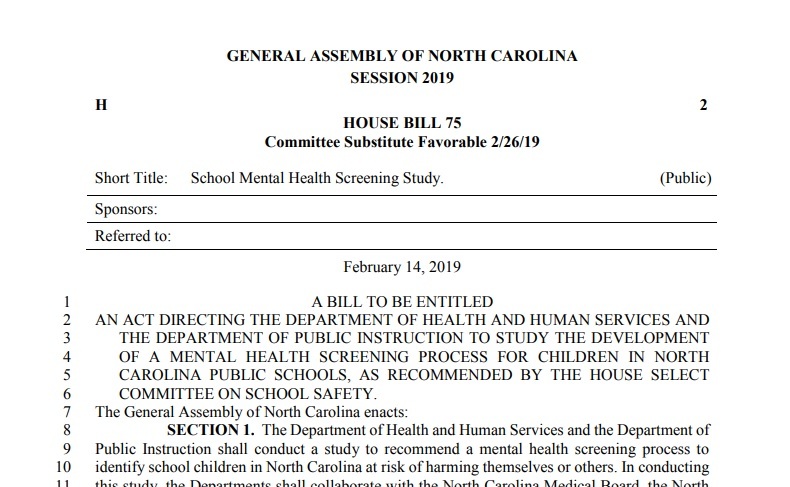 Warriors, now that some States have been ‘approved’ to carry ESSA’s massive amount of SEL mandates, we’ll continue to see how lowly this global brain washing will stoop. 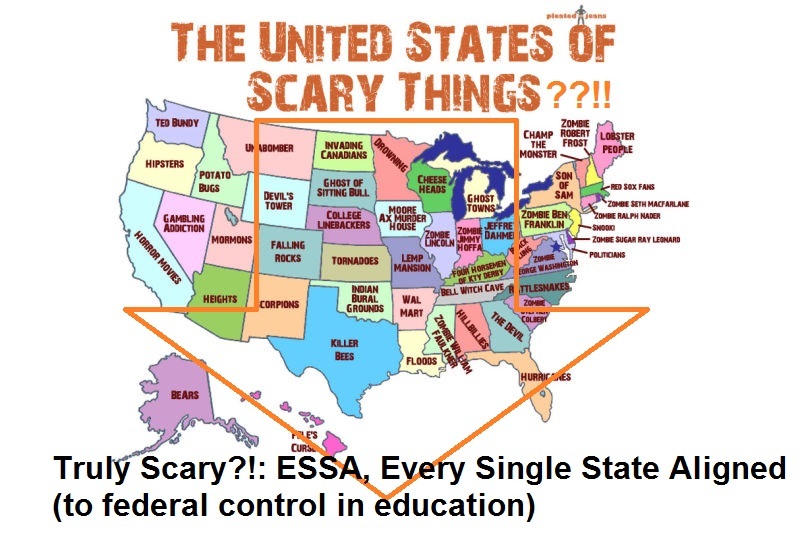 What makes the SEL via ESSA so scary? 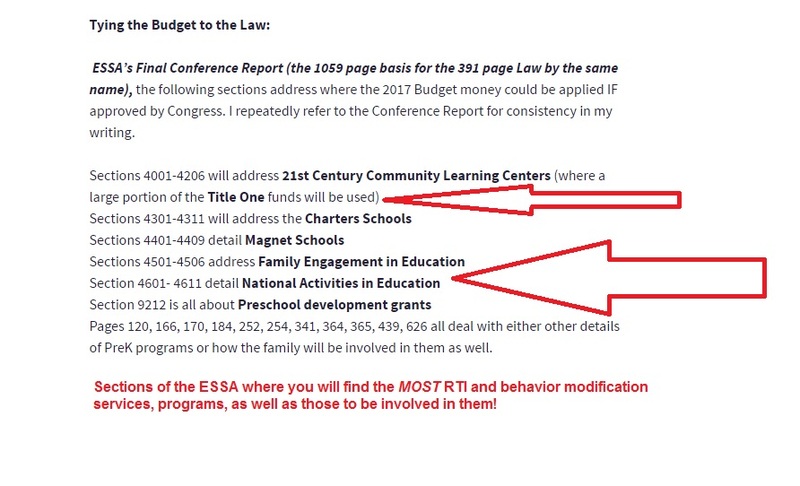 Not only is the overall goal a passed-down-from-the-UN-directive, but ESSA’s mandate to have MORE P3s (public private partnerships), more assessing than ever by non-professional medical personnel, and, more non-profits leading your students in ANYTHING which can be even loosely passed off as ‘educational outreach’, should have us all revolting! Warriors, let me state, I am not saying that all SEL is unneeded, but to see the lengths ESSA goes to label everyone who doesn’t conform is a ‘play’ right out of the UN’s Global Education for All plan. a) Creating all education to be the ‘one-way-to-learn-so-you-can-earn’ workforce streamline from cradle to grave system. b) Creating new, and, enhancing existing wrap-around services to embrace the family to usher in the ‘nanny state’, regardless of where you live. How does this seemingly simple directive play out, every day in America? The use of education as a ‘change agent’. By removing real education and substituting quasi-education, brain development is not only stunted, it’s re-programmed to accept whatever is being offered as training. The HUGE problem with ESSA, is that much of the SEL mandates have NEVER been used before OR have been updated and rushed into the marketplace. So, you child will be yet another experiment. However, Warriors, this warping of brains is NOT exclusive to public Pre-K to 12th grade schools. Why would this be happening in America, no matter where you attend school, or at what age? Simply put: because the UN led accepted definition of people has been changed to ‘human capital’. If your curriculum doesn’t bend your mind, the tests will. If the tests don’t the pigeon-hole assignment for your career track will. Because the UN’s directive for Sustainable Development Goals (SDGs) is in place (and firmly, I might add) AND accessible to entire communities, EVERY school choice is being influenced to shift from true academics where HOW to think should be the ultimate goal to that of a manipulated what to think is the ultimate goal. If you missed my Feb. 2018 article exposing Otus Learning and how they are working with UN partners on RTI (Response to Intervention) Scales and more, find that research here. 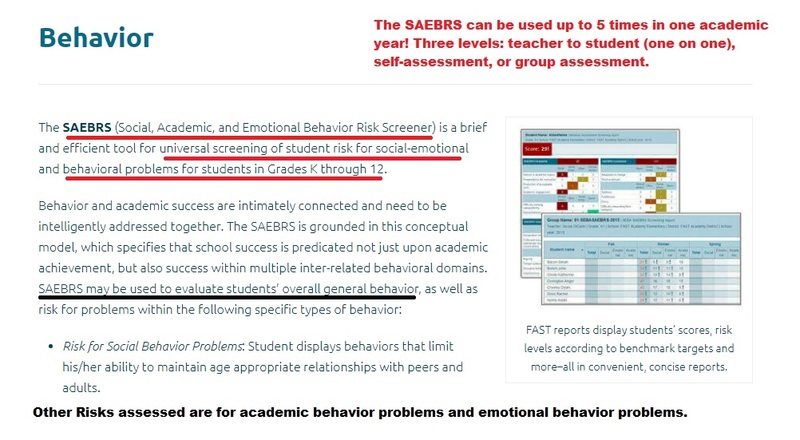 If you’ve not see the extensive work of Warriors like Anita Hoge detailed (and for years, I might add) how damaging SEL was (before CCSS) and is (since ESSA), I urge you to visit Child Abuse in the Classroom’s website and access the section labeled “Social-Emotional Learning”. To see the late 2017 release of the UN’s Board Game to brainwash 8 to 10 years old into what to think, not how, read Alex Newman’s summary of my research into the Game. See Quebec’s streamlined education map! See Global Affairs Canada’s website. To find the Canadian/UN ties, you can use the Global Affairs Canada search bar (something like 40,000 results) or visit this link to see a Development Program for developing countries. Why would we care about the Canadian/UN Plan for developing countries? Warriors, remember, the UN’s goal for ALL education is ‘one way’ and it’s their way! That’s right, Warriors, from the UN in 2001 “Leading the Way to Peace” teacher’s guide for ‘goals to peace’ education. Right off the bat, in bullet #1, the UN links inner peace with the success to the SDGs! Look at bullet #4, ‘Learning to Be’. To see the over 200 page Guide, find it here. Warriors, back in Feb. 2018, in one of my Patriot Institute articles, I showed you school interventions here in the US using a UN backed religion (which is all about inner peace). You may also find this article helpful. Be sure to read the comments following the article. 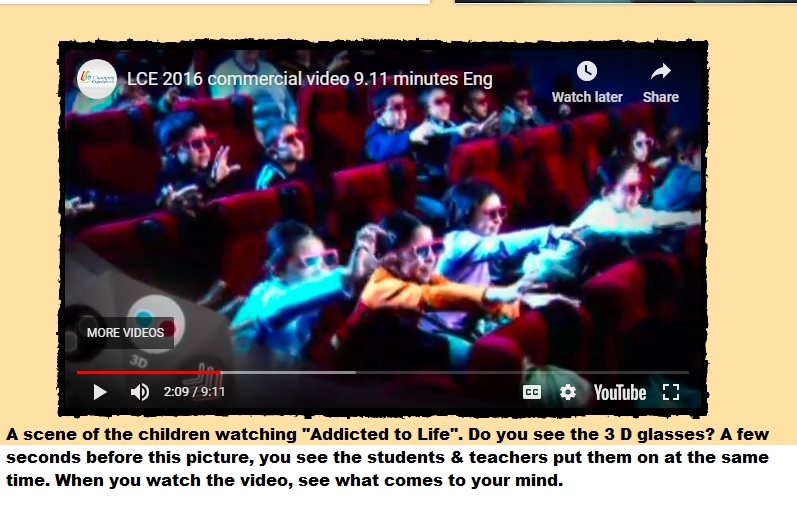 From Second Step, a short video for training your PreK students how to ‘self regulate’ and more mind bending activities in the name of education. What is Second Step? It’s a program by the non-profit Committee for Children. The CfC (as they are referred to) has been around since the 1970s. It was in the 1990s, however, when their interest in SEL began to take off. Of the global roots they tied in? Germany, Canada, and, Norway. This, of course, was in addition to the 50 States use of SEL, at the time. If you’re not sure about how bad SEL was in the 1990s, Anita Hoge and Charlotte Iserbyt are your best resources. Diana Anderson, Donna Garner will also be among those I would trust to give you truth. From You Tube, 2015, this doctor (Dr. Goodridge). explains how SEL will stunt school bullying and violence. She was addressing the ‘stakeholders’ for Rock Hill Public Schools. Now, while I couldn’t locate which State the school system she was addressing, I did find the 2013 Award winning (CA) high school she mentions as a great model for SEL in action. Dr. Goodridge also uses the CASEL 5 domains of SEL in her speech. Her point of medicating 4 to 17 years old students for SEL is quite disturbing. Her passionate statement that SEL will become ‘education’s American Express card’ should really set you on your ears. Within the 154 pages you’ll find CASEL’s 5 domains (one is ‘self regulation’ and was seen in the UN’s documents, too.) for SEL and tons more! Warriors, those of us who studied ESSA well before 2017, exposed the ways in students, teachers, and, entire communities would be aligned and streamlined. So How Does SEL Work In Communities? Another way SEL is used against us in our communities is heading our way via China. The Chinese Social Credit System, in fact. If you read the color coded article, you’ll see using rankings on students is mind bending, so seeing it used against adults is not a too far fetched idea. 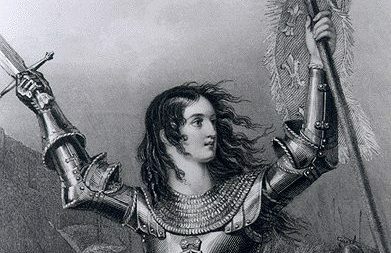 One of my most fierce anti UN Warriors (Karen Bracken) sent me two links I’m sharing with you towards this end. If you’d like to learn more about the Chinese Social Credit inner workings, this site can help. The SDGs are also up to no good with ‘innovation’. The UN also has a major choke hold on ‘technology’ and ‘innovation’. The most sinister part is the innovation and technology are being used to manipulate minds AND lives! In 2015, the UN published a document called the Education Decade for the SDGs. Another UN resource calls the tech/innovation grab ‘transformational’. Yes, brain washing and behavior coding will certainly fit into that label. In 2014, the SDG/UN Roadmap for education. Warriors, since the US is a UN member state we are NOT exempt from the transformation, manipulation, or the brain bending assaults..not in education, not in our lives, and not in our nation. Make no mistake, the Smart Cities popping up across America play a HUGE role in the SDGs, the ‘good citizen vs bad citizen’ and more! Consider this, also, Warriors, since we are opposed to all this egregious and illegally based overreach into education AND our lives, we will not rank well on this global scale. You may wish to think about how a type of system like this will marginalize Warriors like us and how we need to be pro-active in sticking together. Many watching China’s Social Credit System have warned ‘bad citizens’ will be denied access to speedy internet, travels, even which schools our children may attend. Others have shown us how we can fight back against the “Smart Cities” and all the technology which feeds this twisted system which has trickled down into education. Warriors, we’ve seen marginalizing by the CCSS Machine before, but not on this type of scale. We’ve seen federal overreach, but remember, this is being shoved at us from a global scale. Manipulate minds, unfairly rank citizens, and ruin education. All for what? A ‘better’ global economy?! Frankly, that stinks to high Heaven. Every person we can assist in ‘waking up’, removing their loved ones from this diabolical and global CCSS Machine is worth it. Join me as I continue on this journey with you. To my fellow Anti CCSS/Fed Led Ed Warriors, I have gathered the following miscellaneous Pro Common Core fodder. Why? Since ESSA (Every Student Succeeds Act) is now law, the propaganda from the CCSS Machine is working overtime to produce as much BS as it can. If you haven’t seen the following items, you should! While the false facts are flying, we have to work HARDER to share the truth! Is this a challenge? Of course it is! Can we do it?! Sure we can!! Share this article with other anti CCSS/Fed Led Ed Warriors, discuss what you can do to help those in your area find out what REALLY is going on, not what the CCSS Machine cronies say!! First up, the President of the NEA (National Educators Association) gives us a rundown of all teachers do in today’s classrooms. Notice where the true education ends up in her list. Notice the arrogance in her face as she runs down this list and then remember ALL the latest CCSS Machine moves, resources, and legislation which has been produced in the name of parental right being usurped or taken away! It is no wonder the CCSS Machine claims kids don’t need parents! Secondly, as one of my fellow Anti CCSS Warriors stated, ‘who needs the truth, it just gets ignored.’ This particular video gives us a look into MORE of what is happening in our schools. I guess the NEA failed to mention this on their snarky list. To help illustrate this, see the screen shot below from my first article in a series of 3 where I laid out the 2017 Federal Budget Education Requests (think almost $70 billion dollars). 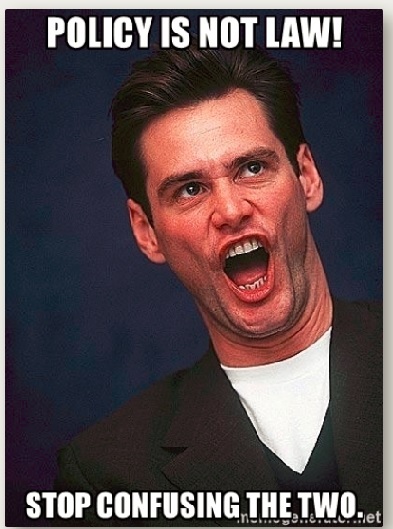 The link to the article is immediately beneath the screen shot. You can access it to not only get the ESSA Final Conference Report download, but you can access the other two articles detailing the Budget plans, as well as how it fits in the ESSA. The Budget Requests will also reveal how entire communities, the post-secondary educational system, teachers and leaders, and each State will be impacted. I hope you will continue to help me raise as much awareness to what the REAL truths are about the ESSA. Do not be discouraged if you feel NO ONE is listening. Among the Warriors, we have heard the term ‘crickets’ when we think no one cares. It is easy to believe no one is hearing you, especially when life is so busy. However, please know that your voice is probably being heard by someone. It is your voice those around you need to hear LOUDER than those spewing lies and making light of how our educational system in being ruined and transformed into a nanny’s house. Remember, to speak LOUDER doesn’t mean we have to shout, it just means we have to use a firm, knowledge based voice. If you need to add your contact information, please do. If you need to address this to your State, please do so, as well. Should you need me for any reasons connected to this War Against the Core (or you wish your Legislators to contact me), all my information is included.